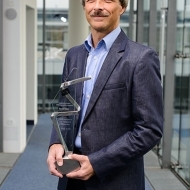 Prof. Bernd Edler, leading scientist in the field of audio signal analysis at the International Audio Laboratories Erlangen, a joint collaboration between Fraunhofer Institute for Integrated Circuits IIS and Friedrich-Alexander-Universität Erlangen-Nürnberg, and Prof. Karlheinz Brandenburg, director of Fraunhofer Institute for Digital Media Technology IDMT, have been honoured with the Leadership Award by the International Multimedia Telecommunications Consortium (IMTC) in acknowledgement of their outstanding achievements and pioneering work in the field of audio coding. 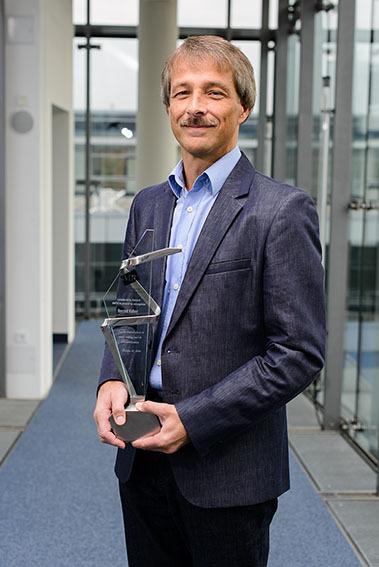 Through their extensive, long-term scientific contributions, Prof. Bernd Edler and Prof. Karlheinz Brandenburg have achieved critical milestones in the development and standardization of the globally-popular mp3 format. They have also taken significant steps with regard to the development of future audio coding technologies. Karlheinz Brandenburg highlighted the significance of this early work on audio coding technologies. “OCF* was already good, but the integration of the Modified Discrete Cosine Transform (MDCT) provided an additional boost. I am happy that this award honors an early stage of our cooperation,” he remarked. 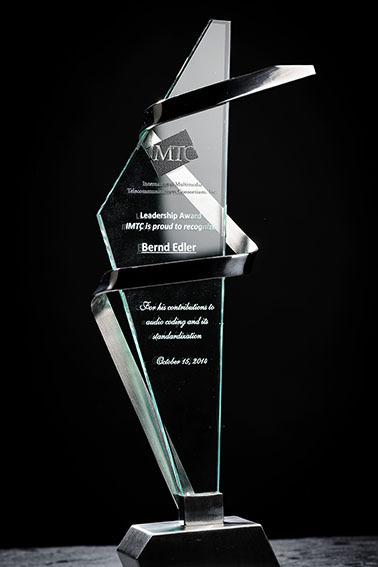 The IMTC is a non-profit organization comprised of international companies pursuing the objective of developing and using products and services in the field of multimedia telecommunications based on open international standards. 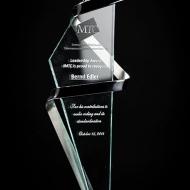 The IMTC leadership award recognizes outstanding scientific works and their contribution to the multimedia industry, as well as to the standardization of worldwide formats.